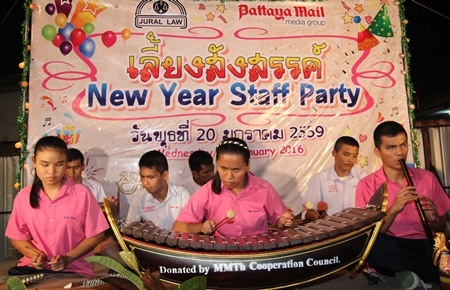 Jural Law and Pattaya Mail joined forces for a massive New Year’s party on January the 20th outside their adjoining offices on Thepprasit Road. 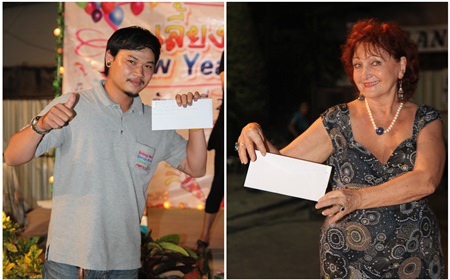 This was to thank their staff for all their hard work throughout the years and to encourage them to carry on their good work in the coming years. 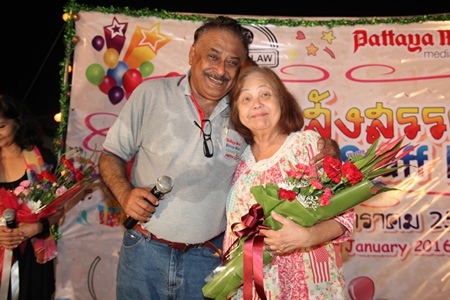 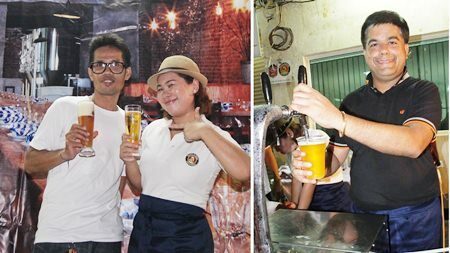 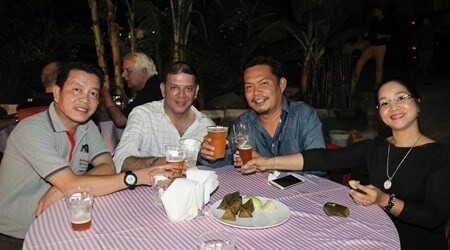 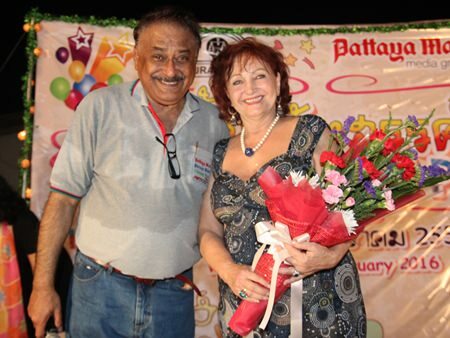 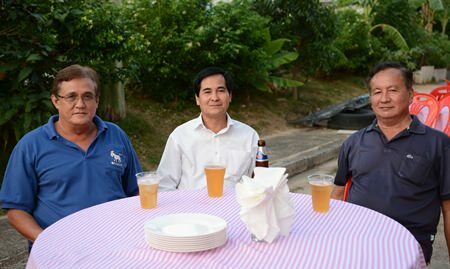 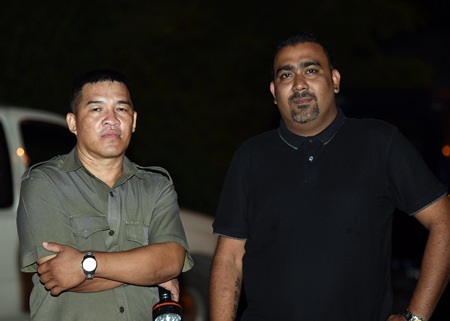 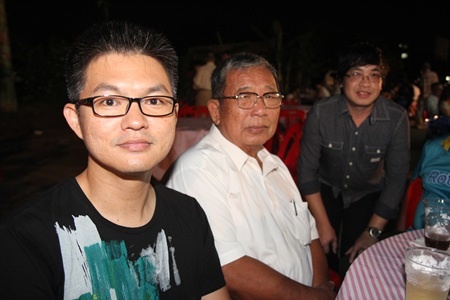 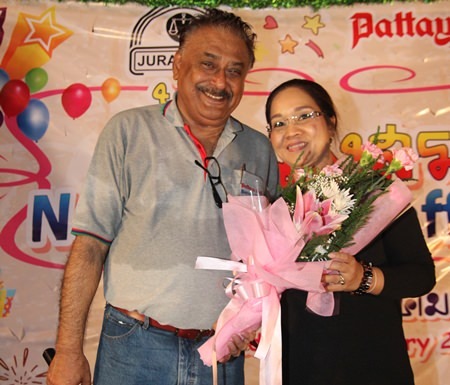 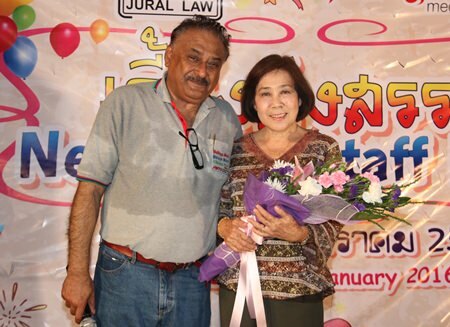 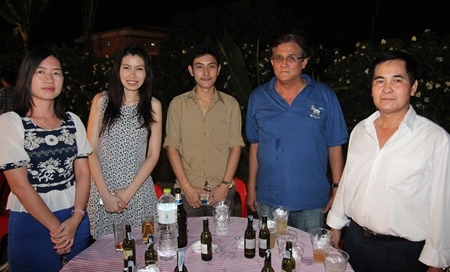 The party had taken two years to organize due the business commitments of both companies, but finally old friends Premprecha Dibbayawan, lovingly known as ‘Pa Prem’ from Jural Law, and Pratheep Malhotra, aka Peter from Pattaya Mail, settled on a date and started to get the wheels in motion. 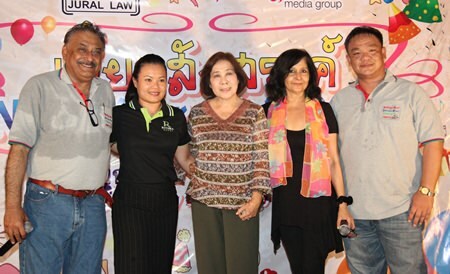 Members of the Pattaya Mail Media Group family are all smiles as we venture forth into our 23rd year of dedicated service and commitment to the community. 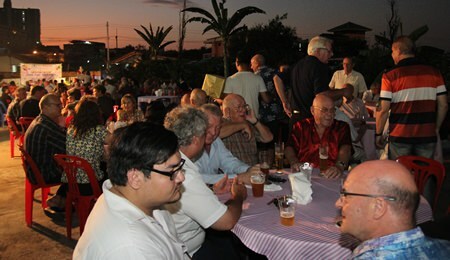 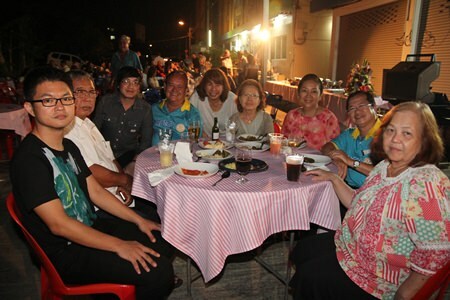 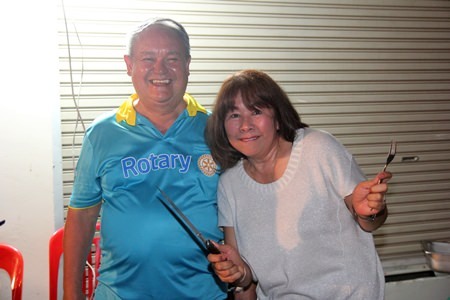 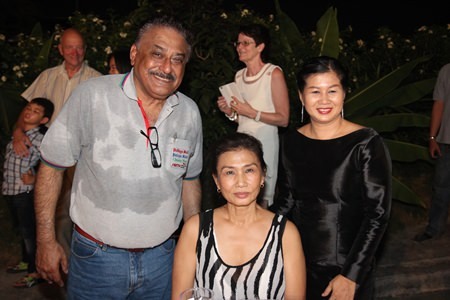 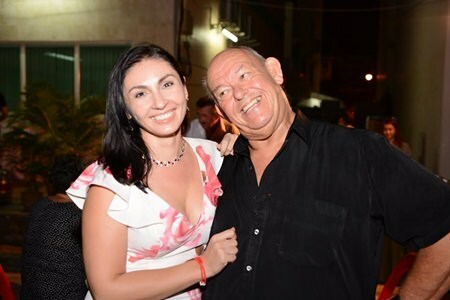 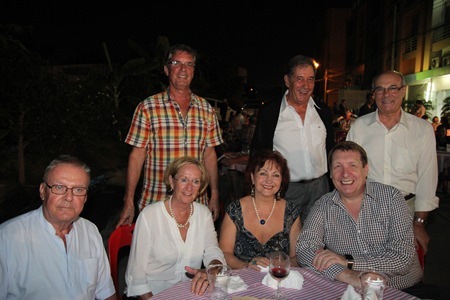 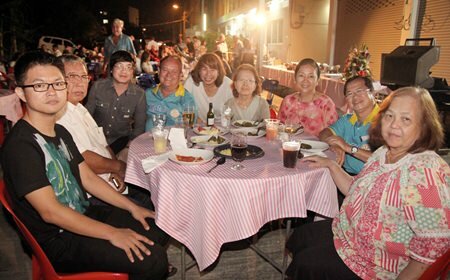 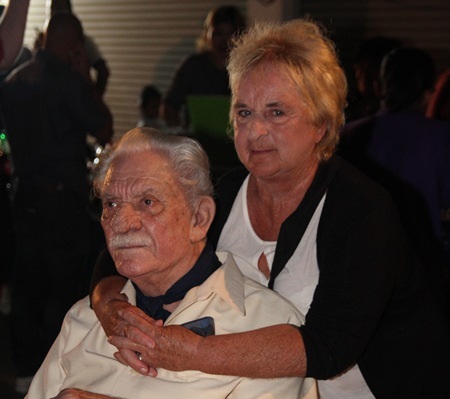 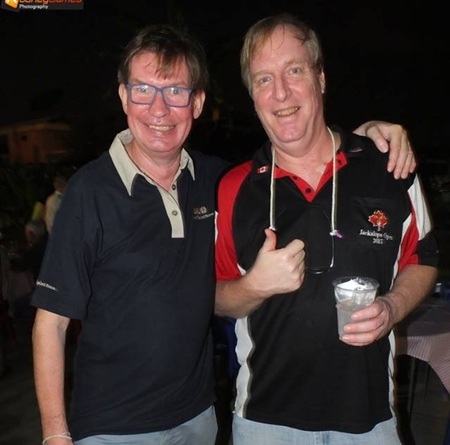 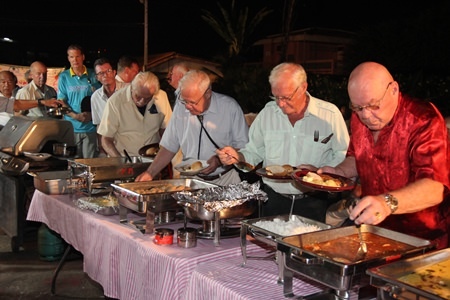 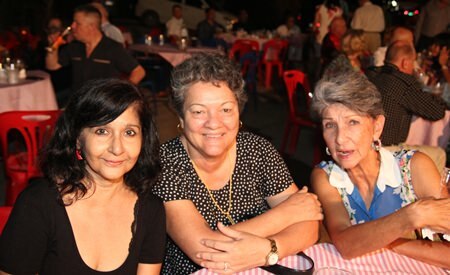 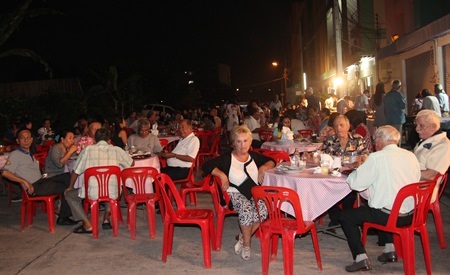 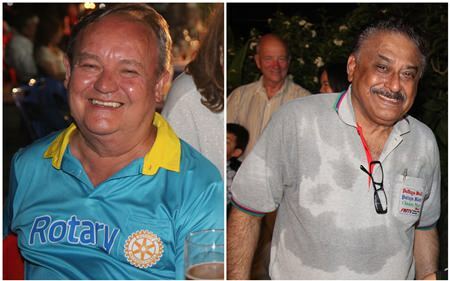 On the night over 200 people were in attendance, including friends, Rotarians, Freemasons, members of the Pattaya Sports Club, staff from the Chiang Mai Mail and many others to enjoy the extensive buffet and drinks and look forward to a healthy and wealthy 2016. 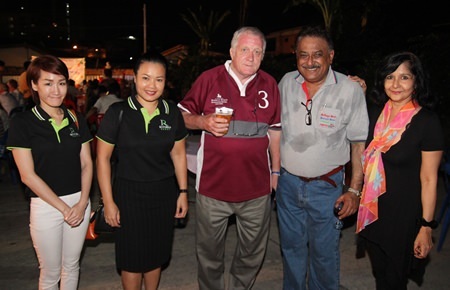 A number of sponsors assisted in making the evening a great success, with food donated by Jameson’s the Irish Pub, Somsakdi’s, Bazi German Food, all of which was washed down with ice cold Paulaner biers courtesy of Ken Whitty, the MD of Flow International. 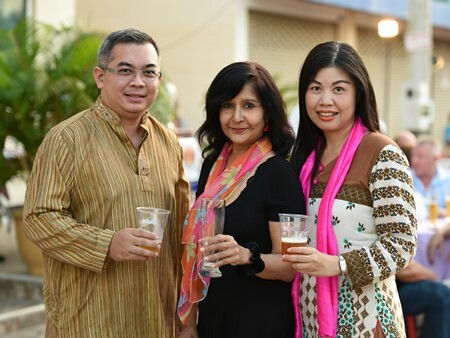 Lifelong friends Premprecha Dibbayawan and Pratheep Malhotra work together for the betterment of the community through business and social responsibilities. 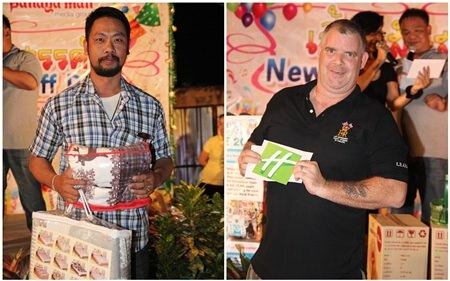 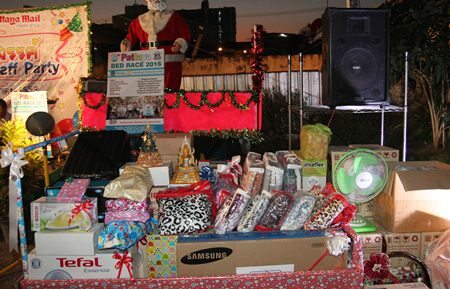 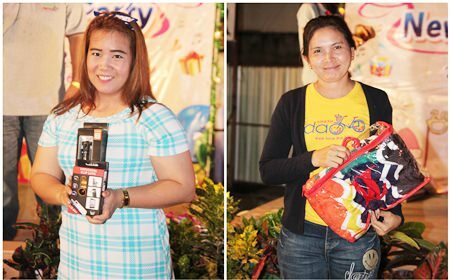 Other sponsors included Diana Garden Resort, Expat Car Rental and in addition to this many hotels and restaurants donated prizes for the charity raffle. 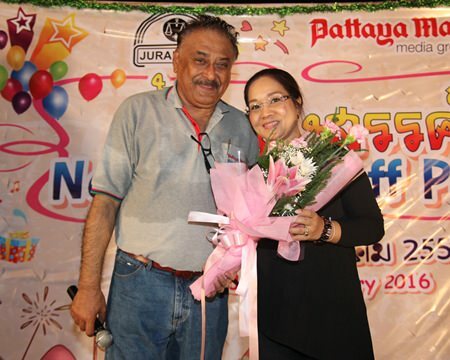 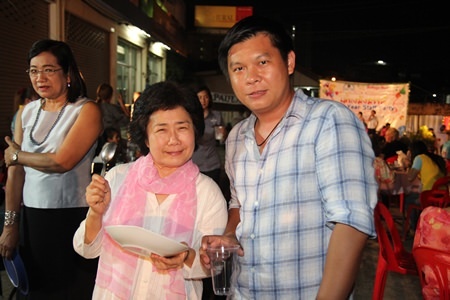 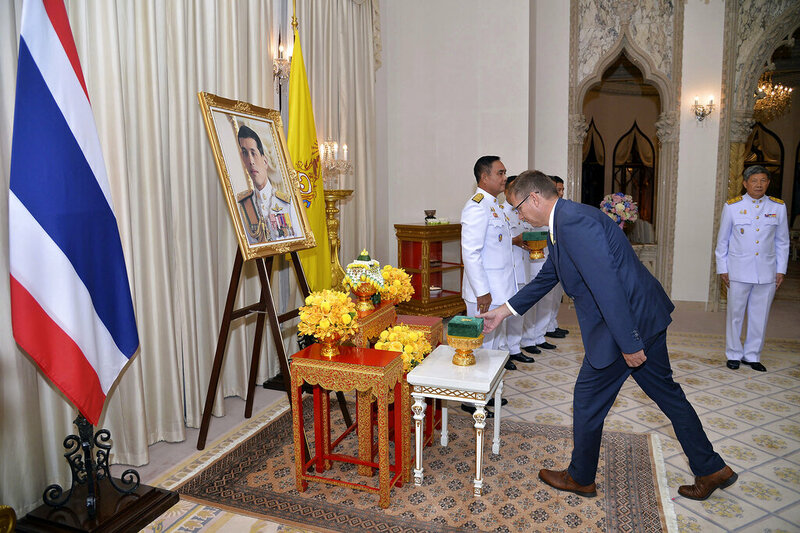 The event was emceed by Pattaya Mail Communications Director Sue Kukarja and Thanawat ‘King’ Suansuk from the newspaper’s graphics department. 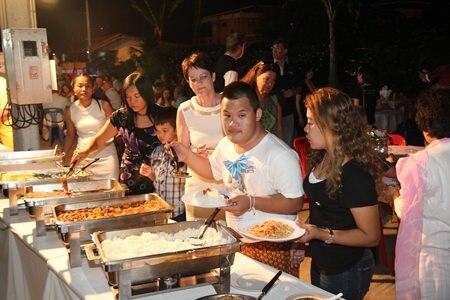 The evening started with some light background music and then the buffet was opened offering a huge choice for the diverse nationalities who were attending, and included delicious English, Thai, and German food from the sponsors, and Indian food sourced from Country Favourites. 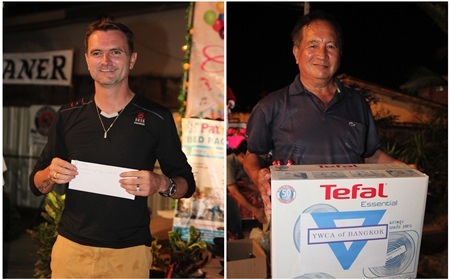 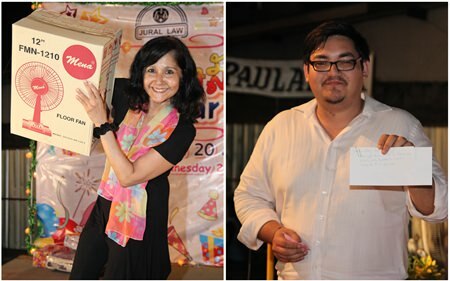 Premprecha Dibbayawan and Peter Malhotra made brief speeches warmly welcoming the guests and explained that the prizes donated by local hotels would be used for a raffle to raise money for a disadvantaged rural school in Sa Kaeo called Wat Maiphotong School. 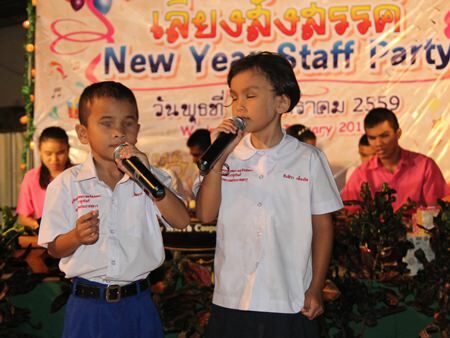 This was followed by highlight of the evening which was a special performance by the children from the Father Ray Foundation who delighted the guests by playing traditional Thai instruments. 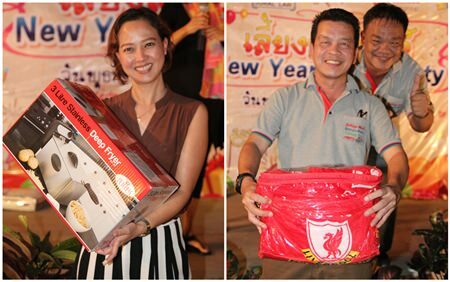 Prior to the raffle being drawn every member of staff from both companies received a gift such as a fan, kettle, toaster, grill, fryer, or handy gadget to welcome in the New Year. 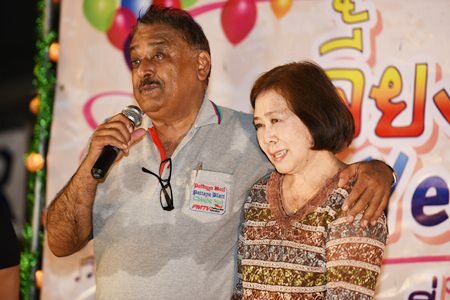 Ubonjitr Thamchop ‘Min’ (left) of Riviera Group presents a one baht gold chain to our beloved Supatra Samleekaew who retired after 20 years at Pattaya Mail. 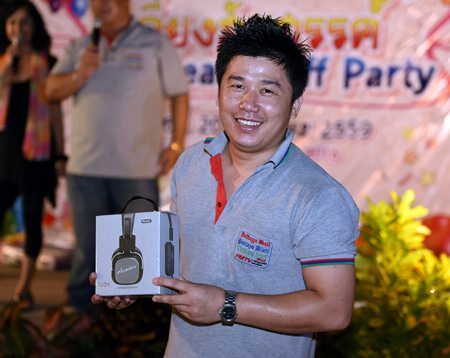 Amnart Kangkamjud from the Graphics Department of the Pattaya Mail won Employee of the Year and to award him for his hard work he was given a large flat-screen television generously donated by Jan Olav Aamlid, MD of Pattaya Self Storage. 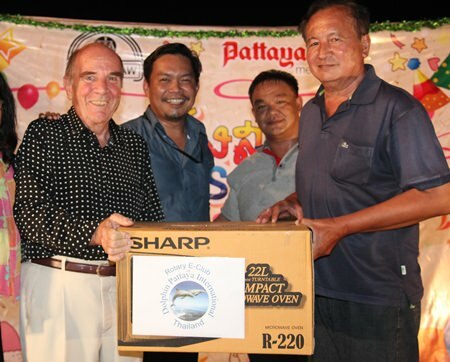 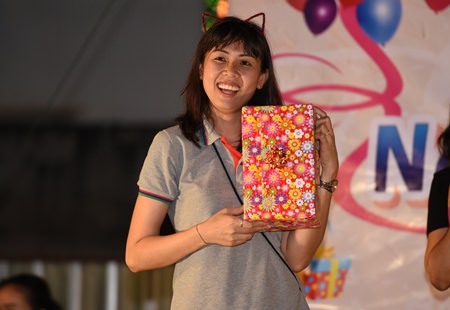 Charn Sanguanchart was voted Jural Law’s employee of the year and received a special prize donated by Dr. Otmar Deter, president of the Rotary E-Club of Dolphin Pattaya International. 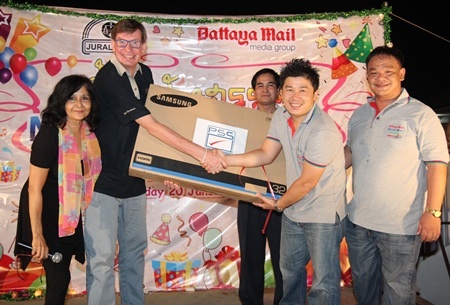 Dr Otmar Deter presents a microwave oven to Charn Sanguanchart voted Jural Law Employee of the Year. 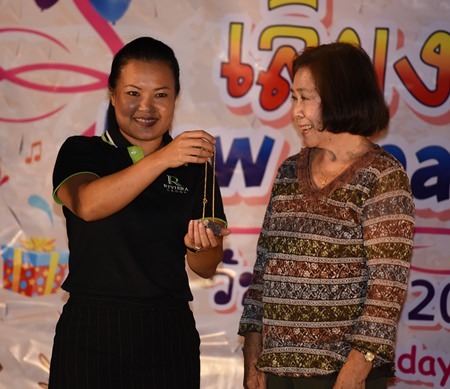 Local real estate developer Riviera Group, represented by Ubonjitr ‘Min’ Thamchop, donated a 1 baht (15.16 grams) gold chain which was presented to Supatra Samleekaew, a beloved senior accountant who had recently retired from Pattaya Mail to look after her grandson. 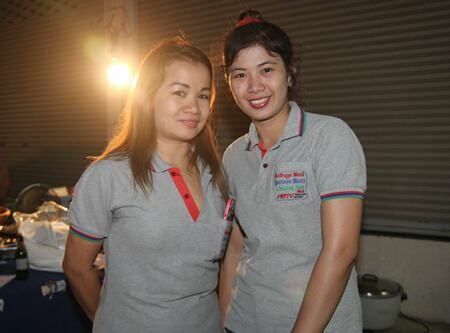 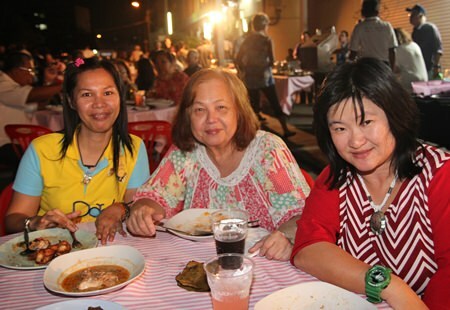 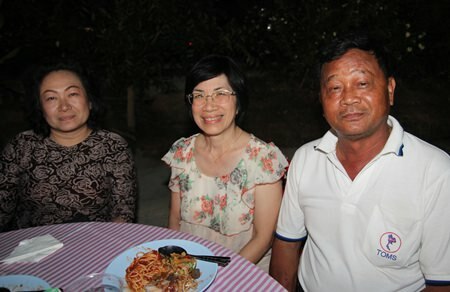 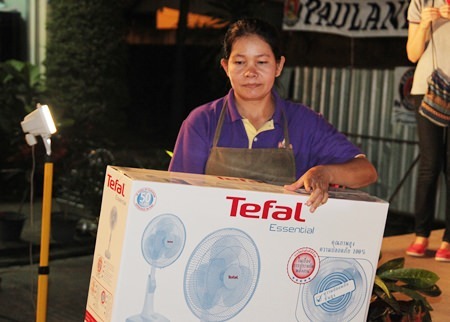 She had worked with the team at Pattaya Mail for nearly 20 years and was like an aunt to the staff. 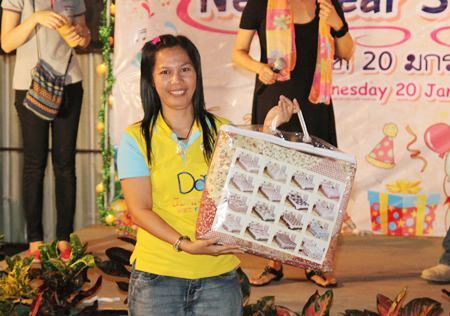 She accepted the gift with a tear in her eye. 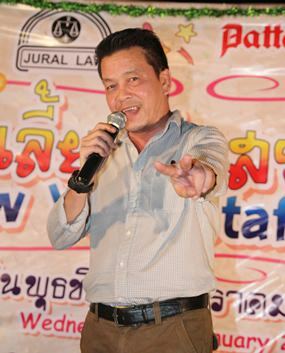 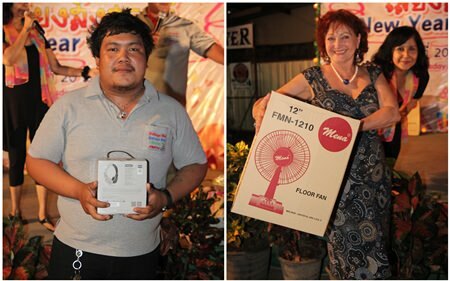 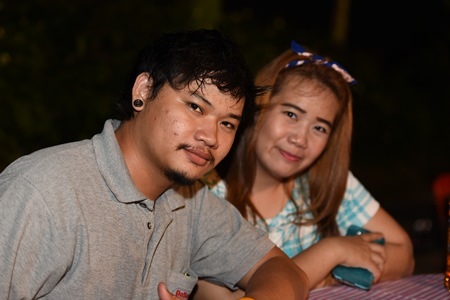 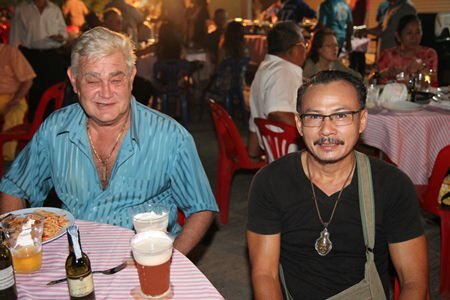 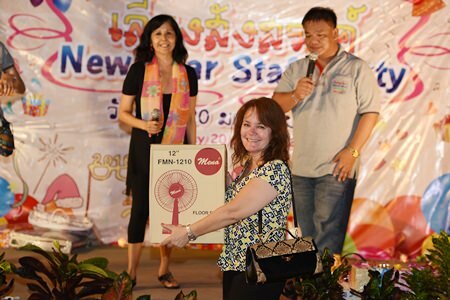 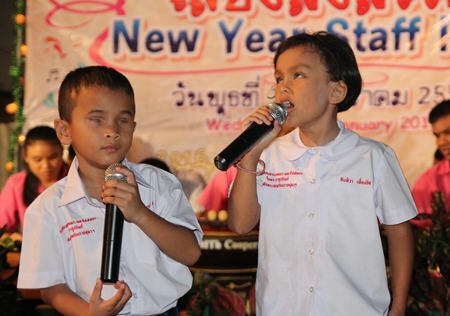 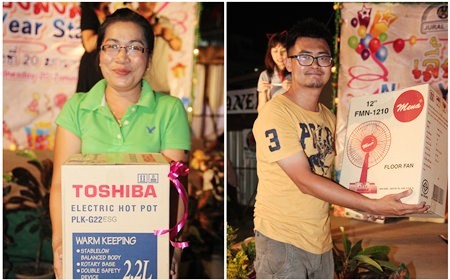 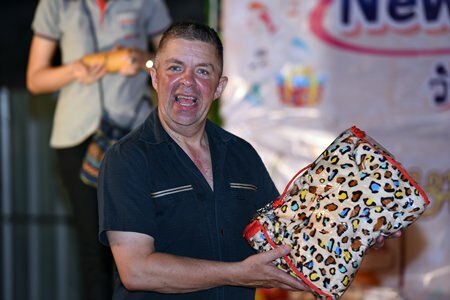 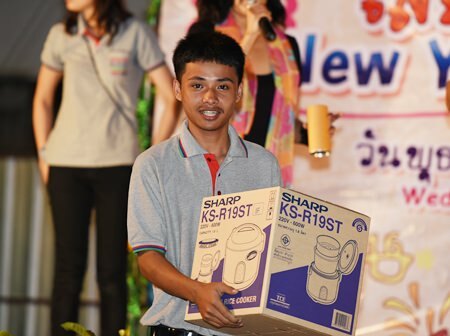 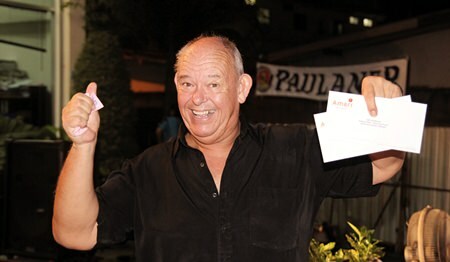 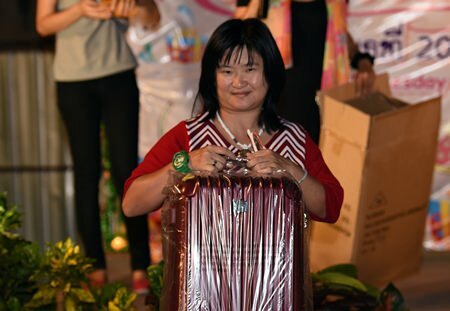 After a few more beers the raffle was drawn which raised 13,080 baht for the school in the northeast of Thailand, then the karaoke kept going until late in the evening. 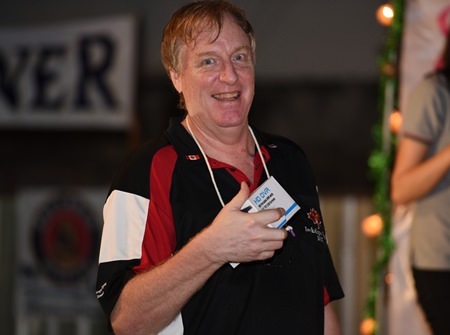 Dan Dorothy, the executive editor is thrilled with his Car DVR. 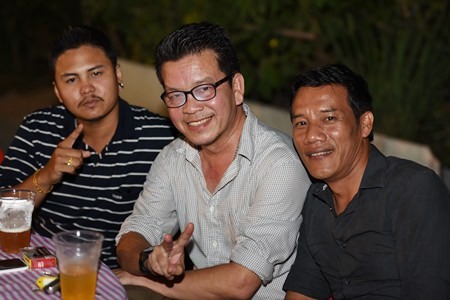 Both Jural law and Pattaya Mail wish to thank all our friends for helping us make this a most memorable party for our staff and our guests. 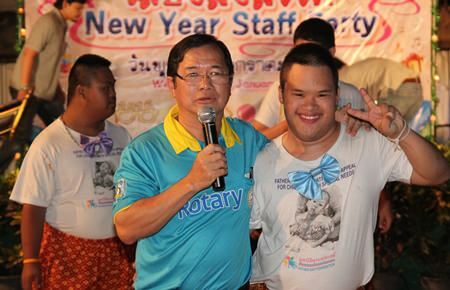 Your contributions and sponsorships have touched our hearts and we wish you and your loved ones a Healthy, Happy and Prosperous 2016. 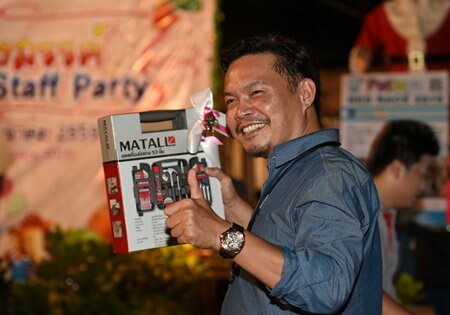 Nopniwat Krailerg, editor of three of our publications vowed the crowd with his singing. 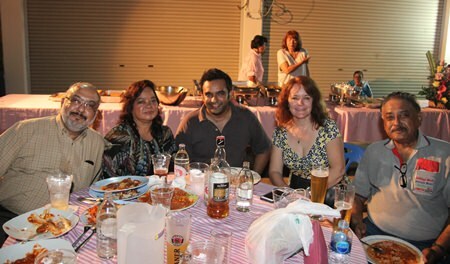 Tony Malhotra and his Paulaner team ensured the constant flow of Germany’s finest brew. 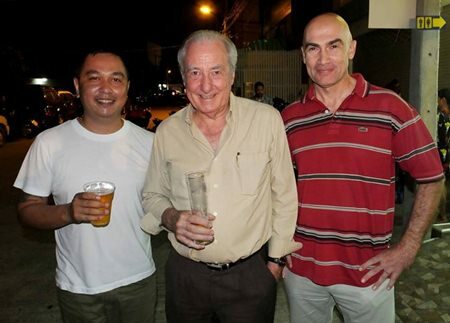 Big brother Dr Iain Corness (centre) flanked by Marcus Souksi (left) and Martin Bilsborrow our sports editor. 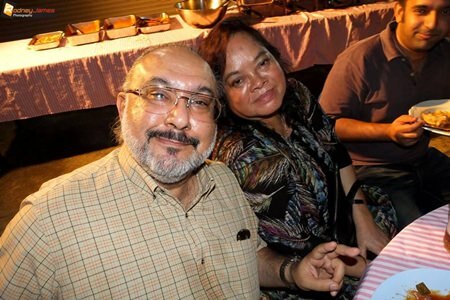 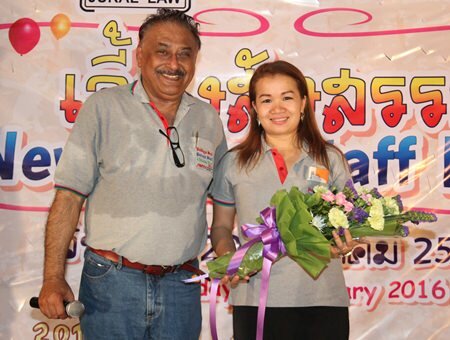 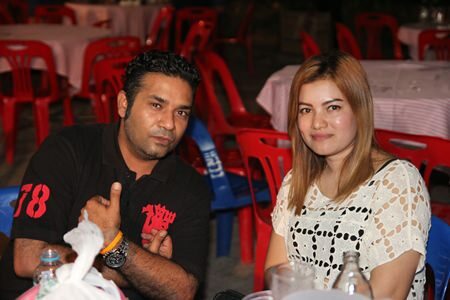 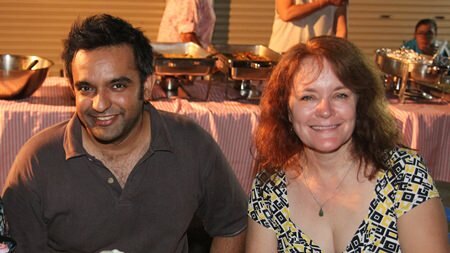 Dave Malhotra, Online Marketing & Sales Manager with Shana Kongmun, Managing Editor of the Chiang Mai Mail. 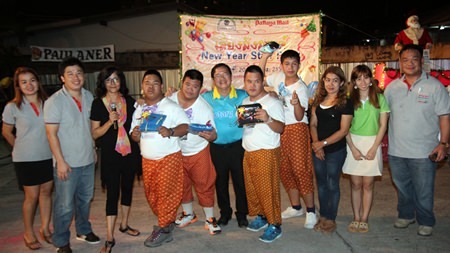 Performances by the children from the Father Ray Foundation made the evening of festivities more meaningful and reminded everyone to be mindful of the need of others. 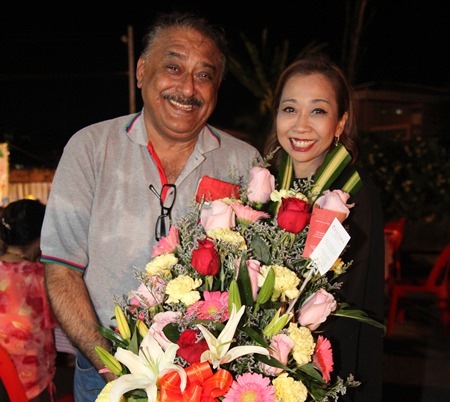 Uncle Peter presents bouquets to our lovely ladies.